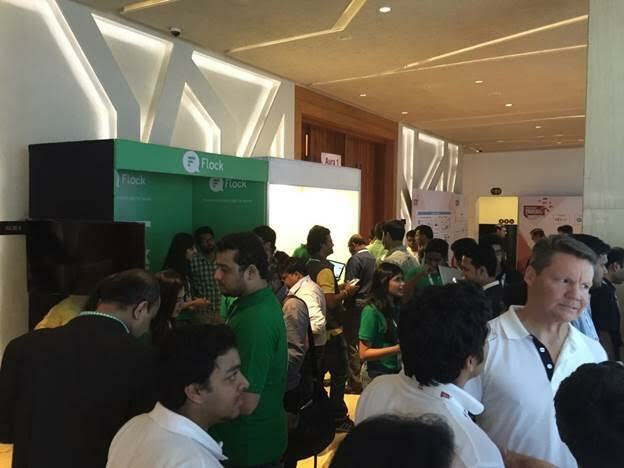 Flock, the recently launched enterprise communication and collaboration app stole the show at the recent NASSCOM Product Conclave (NPC 2015) held in Bengaluru last week. The app received a lot of attention for some of its powerful features that are fast making Flock one of the leaders in this space. NPC 2015 was attended by over 2000 people that comprised a large portion of the startup community, as well as leaders and executives from some of the most reputable firms in the market today. Flock managed to create a massive buzz with its slick, clutter-free interface across platforms, rich, intuitive user experience and newer features such as Video Calling, Shared Group To-Do’s, Reminders, and Integrations with other apps. Flock's tagline of 'Get Work Done. Faster.' and promise of increasing employee efficiency by a significant amount resonated with members of startups and big businesses alike, and made for a convincing proposition. By the end of the first day of the Product Conclave, it became clear that Flock had dominated the event in terms of networking with potential leads. Almost every second person at the event had a Flock goodie bag on him, and people kept coming back to the Flock booth to try out the balance scooters that the Flock team were zooming around on. By the end of the event, one of the Flock team members mentioned that they had managed to show their product to over 60% of the entire conclave footfall – a very significant number. Flock's next stop is the Gartner Symposium in Goa from the November 2-5, 2015.